Home Technology Analytics Youtube Music Insights, Understand Deep Data about your Music on youtube. Have you ever wondered where you should start your first tour or book a performance? Youtube has the answers. What radio stations to pitch your music to? What should you bring to a meeting to impress the station programmers? How many times has your video played in Sweden or Barcelona, Spain? Do you have any fans in Ohio? Or even if any one else on YouTube has used your music or videos and if they have what are they saying about you? 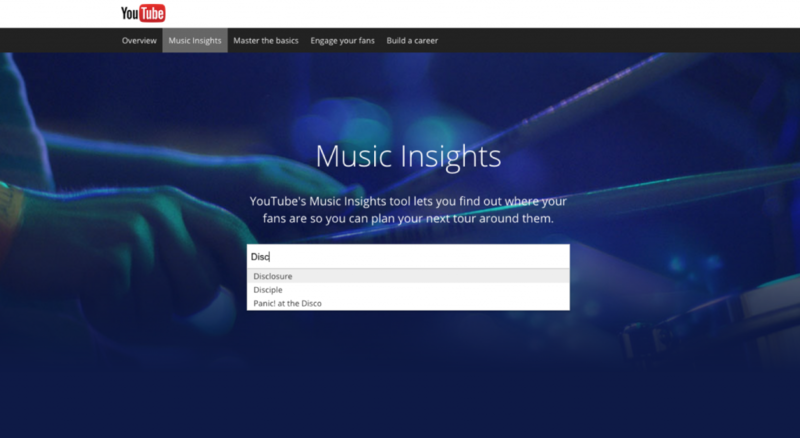 YouTube would like to help you get all this data and more with their new platforms called Music Insights! In the age of Big Data, marketers, A&R’s & Label execs take deep data dives before they consider taking on an artist or partnering with them. There are key data metrics that matter to them such as growth velocity, social engagement and content consumption just to name a few. But making sense of all of this data or even getting access to it has always been a challenge to the indie artist who plays the role of manager, booking agent and marketing director all in one. So stay tuned and we’ll give you a few essential Music marketing tips to help you maximize your digital presence. Youtube is making it personal when it comes to putting powerful marketing tools into the hands of an independent artist. Being the platform to break some of the biggest names in the music industry like Justin Beiber, Soulja Boy & Even Katty Perry. Youtube is pushing their platform to the next level by providing an artist with powerful marketing tools to help them become their own little micro Labels. 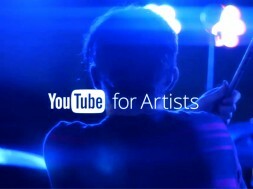 The Youtube for artist initiative found by going to youtube.com/artist gives users tools like music insights, basic youtube marketing tactics you can even learn how to use youtube production facilities to record your content. 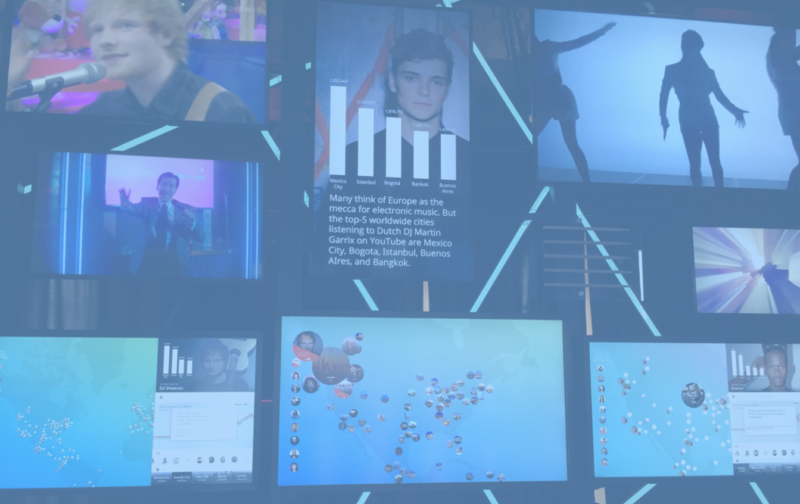 YouTube previewed music insights earlier this year at SXSW giving everyone a taste of what the data the platform will provide to artist all over the world. The platform will help users answer all the questions they might have about what exposer their videos & content get on youtube. And the best targets for them to promote themselves and their music. 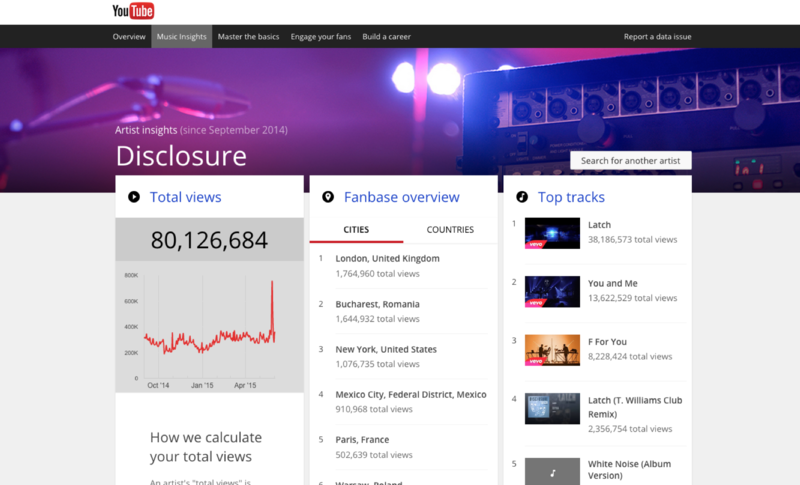 Let’s take a dive into Youtube’s Music insights and see what data we can dig up. So far the platform only pulls data for the top 10,000 artist in the world and goes back to about Sept 2014. Once you type in a Name a google like auto-complete activates to help you find the artist you are looking for. 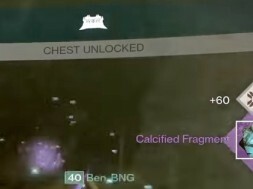 We choose Disclosure for this example let’s take a look at their data. Once yo get to the Data Page you get 3 main content Pillars, Total Content Views, Fanbase Overview & Top tracks / Videos. ‘Total Views’ gives you the total number of video views containing the artist’s Music, including official and Fan-uploaded Videos since September 2014. ‘Fanbase overview’ This location data represents the total number of views of the artist content by location based on total views. This list breaks down by Country and even goes into city Data. ‘Top Tracks’ This metric represents artist content shared and used on the platform in other videos and total track plays. Youtube can track the Music based on their Content ID’s which identify the visual or audio content on the platform. Using Fetty Wap as an example we can see exactly within the past year his career started to take off and his Video and music content views started to rise. Using tools like youtube’s Music insights and Artist portal we can get valuable information on artist and their careers. From the perspective of content consumption at least. 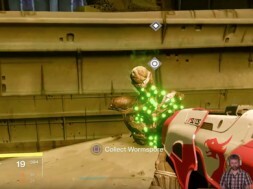 When asked about the Difference between Youtube artist support services and other platforms King said, “YouTube remains unique in its global audience and the breadth of that audience. While the two services you just mentioned have a good sized audience, neither has the global reach that we have.”As tech Crunch points out even Spotify and Pandora combined don’t match up the the youtube billion plus user reach. Additionally, when the data opens up to all users youtube plans to provide API access so that artist and their teams and manipulate and combine data points to learn even more about their fans. Youtube has not stopped with just additional features added to its existing analytics platform. They have also added Info cards that allow users to sell Merch and provide additional details about their. Also, funding & tip features have been added to allow fans to directly contribute to their favorite artist campaigns, tours or even studio time. With all the new updates youtube wants to position itself as the home of artist development and data. Since the fall of Myspace no platforms has reigned as the goto social website for artist to promote themselves and connect with their fans. Eventually, and mark my words there will be a platform that will gather, aggregate and promote artist content across the digital sphere. It won’t be dependent on a Label or massive distribution deal. It won’t cost users their paychecks to get access and it will be universally excepted across ALL digital streaming and curation platforms. 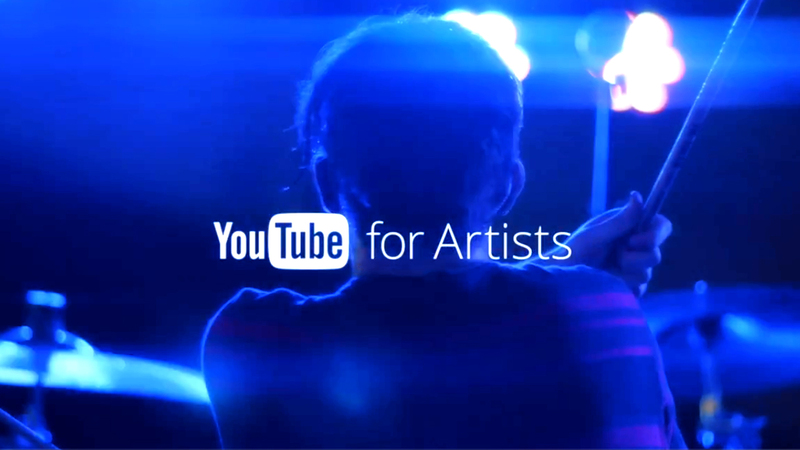 Youtube for artist might just be the beginning of something truly amazing.